I have decided to update the Intel chipset divers, too see if it's going to improve thing - maybe is just me, but it seems that the system is a bit snapier and the CPU is not getting at 100% as much as it used to. 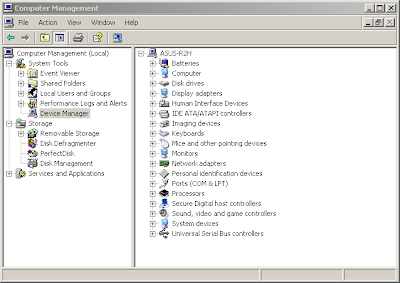 Open Computer Management from Control Panel > Administrative Tools, and select the Device Manager from the tree on the left. 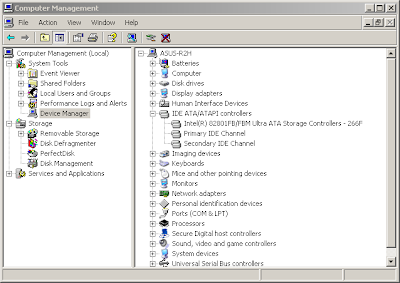 Now we will update the drivers for the devices (right tree) that have Intel as the "Device Provider", starting with Intel UltraATA Storage Controllers. Successful driver update - note the version 8.x in the driver property sheet. 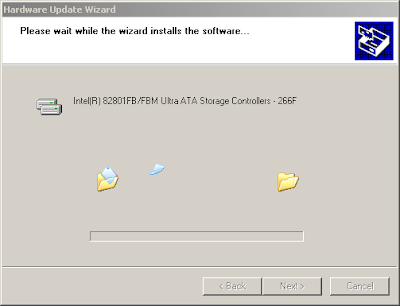 You may be prompted to reboot once you click "Close" button - you can reboot each time you are asked to or you can wait until you have updated all drivers. Note: If theHardware Update Wizard presents multiple driver choices, make sure that you select the driver name that you started to update in the first place. Note: Most of all the new drives will be version 8.x, but some will be 6.x or 7.x, but that's just fine as Intel doesn't provide update for all drivers in the same package - but they will be definitely newer than the ones you had pre-installed. 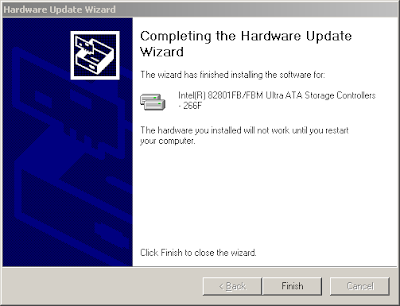 Let me know if you have any problems when or after updating the drivers. FYI this applies to Samsung Q1 owners too. thanks for making the point - this update should work for all Intel chipsets listed at the bottom of the Intel page - desktops, notebooks etc. I appreciate this post, Dan! The only thing in your list I wasn't able to update was the DRAM controller; Windows reported it couldn't find a better match than the current set of drivers. Nothing I did to the wifi driver (most of the things suggested in your blog already) seems to help. see the other article more specific to wireless (http://dandar3.blogspot.com/2006/12/wireless.html), where Alexander and I have tried a new driver from Zydas, see if it helps with your WPA problems. If you can't figure out how to install the new driver, I can try to prepare an archive and put it on the website for you. I'm using WEP-128 because I have two routers connected in a WDS link, and only WEP is supported in that configuration. I will try to switch temporarily to WPA and let you know what happens. I just configured my network to use WPA-PSK and it disconnects quite frequently indeed. Try posting your issue to Asus as I did too, and hopefully it will get a higher priority on their list. I will contact Zydas as well, maybe they can help somehow. 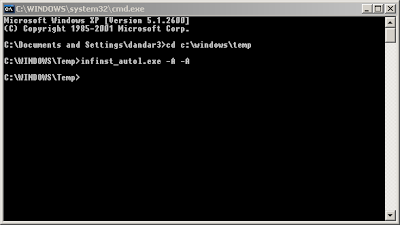 I'd very much appreciate seeing the Zydas driver packaged as a zip with the proper inf files so I could just try it out, thanks - messing around with driver inf files being the part of windows internals I'm least familiar with. Where did you report the issue to Asus, by the way? I don't see that on their forum, which implies you probably emailed them directly, is this correct? I posted my issue to Asus with the Technical Inquiry feature - just login at member.asus.com and you should have it in the left side menu. I tried that tip even before I first commented on your blog. :) Needless to say it did not help. Besides, when I use WEP, it just works. It might depend on how loud did I turn the accesspoint's signal on (I try to keep it as low as possible) but that's it. When I try to switch the network to WPA, the accesspoint reports a successful connection, the Linux server which runs my DHCP reports a successful DHCP session, and then Windows in R2H just drops the connection and starts it over again, keeping it up only long enough to complete DHCP. It repeats indefinitely until it runs into the number of attempts limit. I switch it back to WEP and it immediately just works again. Disabling the power management for the USB hub works kind of ok for me, before it used not lose the connection but every hour or so there was no data going through. Most of the time the signal is good, but it also goes to low and very low some other times. See Nathan's comment on the other post, where the wireless works much better in Vista, so I assume there must be either a USB related driver issue or the actual wireless driver tries to do some sort of internal power management. Thanks for posting back - glad to see it worked out fine. Thanks, Dan. 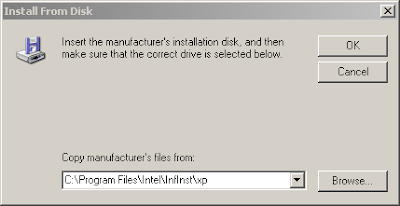 I could not get Windows Vista to install the INF files until I read your post. Many thanks! please tell me what is correct drivers for R2H WLAN in XP - drivers that works with WPA and not often disconnect. 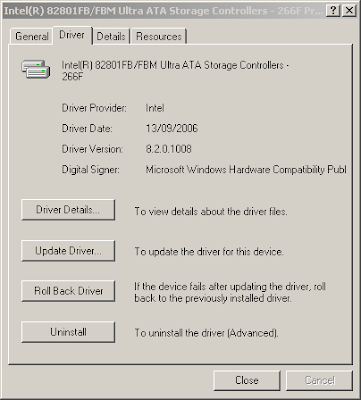 I'm using driver version 6.4.6.8, 14/0/2006 - I believe is this one, http://dlsvr01.asus.com/pub/ASUS/nb/R2H/WLANDriver_XP_60830.zip - with Windows Zero config. It supports WPA and WPA2 and doesn't disconnect as much. Try it and see how it works. 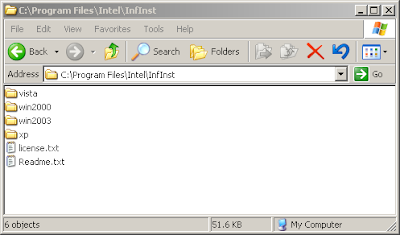 Also try Intel Inf Update 8.3.0.1013. It is useful and helpful for us.